Pooled fixed-effects relative risk and 95% confidence interval (CI) of type 2 diabetes mellitus from substituting intake of brown rice (A) or whole grains (B), 50 g/d, for the same amount of white rice intake. Bars indicate 95% CIs. Pvalues are P for heterogeneity. Individual associations were controlled for the same set of covariates as for model 3 in Table 3. HPFS, Health Professionals Follow-up Study; NHS, Nurses' Health Study. Background Because of differences in processing and nutrients, brown rice and white rice may have different effects on risk of type 2 diabetes mellitus. We examined white and brown rice consumption in relation to type 2 diabetes risk prospectively in the Health Professionals Follow-up Study and the Nurses' Health Study I and II. Methods We prospectively ascertained and updated diet, lifestyle practices, and disease status among 39 765 men and 157 463 women in these cohorts. Results After multivariate adjustment for age and other lifestyle and dietary risk factors, higher intake of white rice (≥5 servings per week vs <1 per month) was associated with a higher risk of type 2 diabetes: pooled relative risk (95% confidence interval [CI]), 1.17 (1.02-1.36). In contrast, high brown rice intake (≥2 servings per week vs <1 per month) was associated with a lower risk of type 2 diabetes: pooled relative risk, 0.89 (95% CI, 0.81-0.97). We estimated that replacing 50 g/d (uncooked, equivalent to one-third serving per day) intake of white rice with the same amount of brown rice was associated with a 16% (95% CI, 9%-21%) lower risk of type 2 diabetes, whereas the same replacement with whole grains as a group was associated with a 36% (30%-42%) lower diabetes risk. Conclusions Substitution of whole grains, including brown rice, for white rice may lower risk of type 2 diabetes. These data support the recommendation that most carbohydrate intake should come from whole grains rather than refined grains to help prevent type 2 diabetes. Compared with Asian countries, rice consumption is much lower in the United States but is increasing rapidly. According to the US Department of Agriculture 2009 food supply and disappearance data, rice consumption has increased more than 3-fold since the 1930s to reach 20.5 lbs (9.3 kg) per capita, and more than 70% of rice consumed is white rice.8 However, little is known about whether rice intake is associated with diabetes risk in US populations. We therefore evaluated the associations between intake of white rice and brown rice and risk of T2D in 3 large cohort studies with repeated prospective dietary assessments. We have previously observed an inverse association between whole grain consumption and risk of T2D in these cohorts.9,10 In the present study, we extended the follow-up of these previously reported studies and evaluated whether substituting whole grains for white rice is associated with a lower risk of diabetes. We used data from 3 prospective cohort studies: the Health Professionals Follow-up Study (HPFS; age range, 32-87 years) and the Nurses' Health Study (NHS) I (age range, 37-65 years) and II (age range, 26-45 years). Detailed descriptions of these 3 cohorts were introduced elsewhere.11-13 In all 3 cohort studies, questionnaires were administered at baseline, as well as biennially after baseline, to collect and update information on lifestyle practice and occurrence of chronic diseases. The follow-up rates of the participants in these cohorts are all greater than 90%. In the current analysis, we excluded men and women who had diagnoses of diabetes, cardiovascular disease, and cancer at baseline for the dietary analyses (1986 for HPFS, 1984 for NHS I, and 1991 for NHS II, when we first assessed white rice and brown rice consumption in these cohorts). In addition, we excluded HPFS participants who left more than 70 of the 131 food items blank on the baseline food frequency questionnaire (FFQ) or who reported unusual total energy intake levels (ie, daily energy intake <800 or >4200 kcal/d). For NHS I and II participants, we excluded those who left more than 10 (NHS I) or 9 (NHS II) items blank on baseline FFQs or whose total energy intake was less than 500 or greater than 3500 kcal/d. After exclusions, data from 39 765 (of 51 530) HPFS participants, 69 120 (of 81 755) NHS I participants, and 88 343 (of 95 452) NHS II participants were available for the analysis. The study was approved by the Human Research Committee of Brigham and Women's Hospital and the Human Subjects Committee Review Board of Harvard School of Public Health. The completion of the self-administered questionnaire was considered to imply informed consent. In 1984, a 116-item FFQ was administered among the NHS I participants to collect information on their usual intake of foods and beverages in the previous year. During 1986 through 2002, similar but expanded FFQs were sent to these participants to update their diet information every 4 years. By means of the expanded FFQ used in the NHS I, dietary data were collected every 4 years during 1986 through 2002 among the HPFS participants and during 1991 through 2003 among the NHS II participants. In all FFQs, we asked the participants how often, on average, they consumed each food of a standard portion size. In the current study, on the basis of the distribution of responses to rice intake questions, we categorized participants into 5 categories (<1 serving per month, 1-3 servings per month, 1 serving per week, 2-4 servings per week, and ≥5 servings per week) of white rice intake and 3 categories (<1 serving per month, 1-4 servings per month, and ≥2 servings per week) of brown rice intake to warrant appropriate variation in rice consumption while preserving enough statistical power to make stable estimates for each category. The reproducibility and validity of these FFQs have been demonstrated in detail elsewhere.14-17 In a validation study conducted among a subsample of HPFS participants, assessments of white rice and brown rice intake were moderately correlated with diet record assessments. The corrected Pearson correlation coefficients between these 2 assessments were 0.53 for white rice and 0.41 for brown rice.14 Assessment of whole grain intake was described in detail elsewhere.9 We considered any intact or milled form of grain that consisted of the expected proportions of bran, germ, and endosperm as whole grains. By definition, brown rice is a whole grain. We counted each individual's person-years of follow-up from the date of return of the baseline FFQ to the date of death, the date of diagnosis of T2D, or January 31, 2006 (HPFS), June 30, 2006 (NHS I), or June 30, 2005 (NHS II), whichever came first. The relative risks (RRs) were estimated by Cox proportional hazards regression,23 in which we stratified the analysis jointly by age in months at baseline and calendar year to control for confounding by these factors as finely as possible. In multivariate analysis, we further adjusted for ethnicity, body mass index, smoking status, alcohol intake, multivitamin use, physical activity, and family history of diabetes. Among nurses, we adjusted for oral contraceptive use (NHS II participants only), postmenopausal status, and hormone use. To minimize confounding by other dietary factors, we further adjusted for total energy intake and intake of red meat, fruits and vegetables, coffee, and whole grains. All of these covariates are established risk factors for type 2 diabetes and were correlated with white rice or brown rice consumption in these cohorts. Tests for trend were conducted by assigning the median value to each category and modeling this value as a continuous variable. To summarize the estimates of association across the 3 studies, we conducted a meta-analysis using fixed-effects models. P values for heterogeneity of study results were calculated by using the Cochran Q test.27 All P values were 2-sided. We calculated 95% confidence intervals (CIs) for RRs. Data were analyzed with the SAS package, version 9.1 (SAS Institute Inc, Cary, North Carolina). The pooling analysis was conducted with STATA 10.0 (StataCorp, College Station, Texas). We documented 2648 incident T2D cases during 20 years of follow-up in the HPFS, 5500 cases during 22 years in the NHS I, and 2359 cases during 14 years in the NHS II. Table 1 describes the distribution of baseline characteristics according to intake of white rice and brown rice. Men and women who had high white rice intake were less likely to have European ancestry or to smoke and more likely to have a family history of diabetes. In addition, high white rice intake was associated with high fruit and vegetable intake and low intake of whole grains, cereal fiber, and trans fat. In contrast, brown rice intake was not associated with ethnicity but with a more health-conscious lifestyle and dietary profile. For example, participants with higher brown rice intake were more physically active, leaner, and less likely to smoke or have a family history of diabetes and had higher intake of fruits, vegetables, and whole grains and lower intake of red meat and trans fat. Both white rice and brown rice intake was positively associated with a higher glycemic load in all 3 cohorts. Table 2 shows the RRs of T2D according to white rice intake. In age-adjusted models, white rice intake was associated with an elevated risk of developing T2D across the 3 studies. After multivariate adjustment for lifestyle and dietary risk factors, these associations were attenuated, but a trend of increased risk associated with high white rice intake remained. After the multivariate estimates were summarized across the 3 studies, in comparison with those in the lowest category of white rice intake, participants who ate at least 5 servings of white rice per week had a 17% (95% CI, 2%-36%; P for trend <.001) higher risk of developing T2D. In contrast to white rice, brown rice intake was associated with a lower risk of T2D in age-adjusted models (Table 3). After multivariate adjustment for covariates, these associations were attenuated but the statistical significance remained. When compared with the participants who ate less than 1 serving of brown rice per month, the pooled RR (95% CI) of T2D was 0.89 (0.81-0.97) for intake of 2 or more servings per week, with a P for trend of .005. We observed a monotonically decreasing risk of diabetes associated with increasing consumption of whole grains, including brown rice (Table 4). In comparison with the lowest quintile, the pooled RR (95% CI) for the highest quintile of whole grains was 0.73 (0.68-0.78; P for trend <.001). We further estimated the RRs of T2D associated with bran and germ intake (Table 4). Bran intake, but not germ intake, was associated with a lower risk of developing T2D. In comparison with those in the lowest quintile of bran intake, men and women in the highest quintile had a pooled RR (95% CI) of 0.76 (0.71-0.82; P for trend <.001). For germ intake, the corresponding RR was 0.95 (0.88-1.03; P for trend = .40). We subsequently examined the RR associated with the replacement of 50 g (one-third serving) of white rice per day with the same amount of brown rice intake. In all 3 cohorts, substituting brown rice for white rice was consistently associated with a lower risk of T2D (Figure). In the pooled analysis, each 50-g/d intake of brown rice replacing white rice was associated with an RR (95% CI) of 0.84 (0.79-0.91). We further examined the RR associated with replacing 50 g of white rice intake per day with the same amount of whole grains: the RR (95% CI) was 0.64 (0.58-0.70). Because ethnicity was associated with both white rice consumption and diabetes risk,28 the observed associations can be a consequence of confounding by ethnicity. However, in secondary analyses when we repeated these associations among white participants only, we found similar results. For example, after nonwhite participants (African American, Hispanic, and Asian) were excluded, the pooled RRs (95% CIs) of T2D associated with white rice intake were 1.00 (0.93-1.07) for 1 to 3 servings per month, 1.04 (0.96-1.13) for 1 serving per week, 1.10 (1.01-1.19) for 2 to 4 servings per week, and 1.19 (1.00-1.41; P for trend <.001) for 5 or more servings per week. The pooled RRs (95% CIs) for brown rice intake levels were 0.94 (0.90-0.99) for 1 to 4 servings per month and 0.87 (0.79-0.96; P for trend = .003) for 2 or more servings per week. Among white participants, the pooled RRs (95% CIs) of T2D were 0.84 (0.78-0.92; P < .001) for replacing 50 g of white rice intake per day with the same amount of brown rice, and 0.64 (0.58-0.71; P < .001) for substituting 50 g of whole grains per day for the same amount of white rice. When we restricted our analysis within minority groups only, although we observed largely similar results, most associations became nonsignificant because of the dramatically diminished power (we identified 624 cases of T2D among 9644 nonwhite participants). When we used more recent intake of white rice or brown rice instead of the cumulative average in the analyses, the results did not substantially change. For example, the pooled RR (95% CI) was 1.25 (1.08-1.45; P for trend = .001) for white rice intake of 2 or more servings per week vs less than 1 serving per month, 0.90 (0.85-0.95; P < .001) for replacing 50 g of white rice intake per day with the same amount of brown rice, and 0.76 (0.71-0.82; P < .001) for substituting 50 g of whole grains per day for the same amount of white rice. Because rice consumption for most of our study participants was relatively stable over time (data not shown), these results indicated that the cumulative averages could better represent long-term rice consumption because of reduced random within-person measurement errors.24 Finally, we did not find any interactions between rice consumption and other diabetes risk factors, including age, body mass index, and various comorbidities. In these 3 prospective cohort studies of US men and women, we found that regular consumption of white rice was associated with higher risk of T2D, whereas brown rice intake was associated with lower risk. In addition, our data suggest that replacing white rice intake with the same amount of brown rice or whole grains was associated with a lower risk. These associations were independent of lifestyle and dietary risk factors for T2D, as well as ethnicity. Depending on the botanical structure, amylase contents, and processing methods, both white rice and brown rice demonstrated a wide variety of GI values,2,36-38 which made it difficult to directly compare white rice with brown rice for effects on postprandial glucose response.2 Despite this inconsistency inherent to rice GI values, in general, white rice consumption generates a relatively stronger postprandial glucose response than the same amount of brown rice.2 This notion was corroborated by the observation that isocaloric replacement of white rice with whole grains (66.6%; primarily composed of brown rice and barley) and legume powder (22.2%) significantly decreased postprandial glucose and insulin levels in a randomized clinical trial.39 The high GI of white rice consumption is likely the consequence of disrupting the physical and botanical structure of rice grains during the refining process, in which almost all the bran and some of the germ are removed.40 The other consequence of the refining process includes loss of fiber, vitamins, magnesium and other minerals, lignans, phytoestrogens, and phytic acid,7 many of which may be protective factors for diabetes risk. Intact rice grains contain nearly exclusively insoluble fiber.7 In both observational and experimental studies, insoluble fiber intake was consistently associated with improved insulin sensitivity and decreased risk of developing T2D.4,5,41,42 In addition, higher magnesium intake has been consistently associated with reduced risk of T2D in cohort studies or improved glucose metabolism in clinical trials.43-45 The combination of these mechanisms may explain the beneficial effects of replacing white rice with brown rice or other whole grains. The strengths of the current study include a large sample size, high rates of follow-up, and repeated assessments of dietary and lifestyle information. The consistency of the results across all 3 cohorts indicates that our findings are unlikely to be due to chance. The current study was subject to a few limitations as well. First, our study populations primarily consisted of working health professionals with European ancestry. Although the homogeneity of socioeconomic status helps reduce confounding, the generalizability of the observed associations may be limited to similar populations. However, the biological mechanisms underlying the positive associations observed in both our study populations and the Chinese study6 are likely to be the same in other populations. Second, because diet was assessed by FFQs, some measurement error of rice intake assessment is inevitable. However, the FFQs used in these studies were validated against multiple diet records, and reasonable correlation coefficients between these assessments of rice intake were observed.14 Because we used a prospective study design, any measurement errors of rice intake are independent of study outcome ascertainment and, therefore, are likely to attenuate the associations toward the null. Moreover, we calculated cumulative averages of rice intake to minimize the random measurement errors caused by within-person variation. 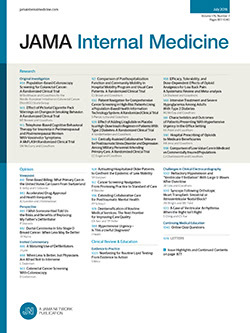 To minimize the possibility of systemic measurement error incurred by recall bias, we not only excluded participants with a history of major chronic diseases at baseline but also stopped updating dietary intake after participants reported having diagnoses of diseases that might influence their subsequent report of diet. Third, we did not perform oral glucose tolerance tests to confirm diabetes diagnoses because this is infeasible in large cohort studies. However, the supplementary questionnaire that we used for the confirmation of self-reported diabetes diagnoses has been demonstrated to be highly accurate.20,21Finally, although we adjusted for established and potential risk factors for T2D, residual confounding is still possible. Our data suggest that regular consumption of white rice is associated with an increased risk of T2D, whereas replacement of white rice by brown rice or other whole grains is associated with a lower risk. The current Dietary Guidelines for Americans identifies grains, including rice, as one of the primary sources for carbohydrate intake and recommends that at least half of carbohydrate intake come from whole grains.46 Rice consumption in the US population is increasing.8 However, most rice consumption is refined white rice,8 as seen in our studies. From a public health point of view, replacing refined grains such as white rice by whole grains, including brown rice, should be recommended to facilitate the prevention of T2D. Correspondence: Qi Sun, MD, ScD, Department of Nutrition, Harvard School of Public Health, 665 Huntington Ave, Boston, MA 02115 (qisun@hsph.harvard.edu). Accepted for Publication: December 19, 2009. Author Contributions: Dr Hu had full access to all the data in the study and takes responsibility for the integrity of the data and the accuracy of the data analysis. Study concept and design: Sun, Spiegelman, Holmes, and Hu. Acquisition of data: Spiegelman and Hu. Analysis and interpretation of data: Sun, Spiegelman, van Dam, Malik, Willett, and Hu. Drafting of the manuscript: Sun and Hu. Critical revision of the manuscript for important intellectual content: Sun, Spiegelman, van Dam, Holmes, Malik, Willett, and Hu. Statistical analysis: Sun, Spiegelman, van Dam, and Willett. Obtained funding: Spiegelman, Holmes, and Hu. Administrative, technical, and material support: Sun, Malik, and Hu. Study supervision: Spiegelman and Hu. Funding/Support: This study was supported by research grants CA87969, CA055075, CA050385, and DK58845 from the National Institutes of Health. Dr Sun is supported by a postdoctoral fellowship from Unilever Corporate Research. Role of the Sponsor: The National Institutes of Health had no role in the collection, analysis, and interpretation of the data or in the decision to submit the manuscript for publication.